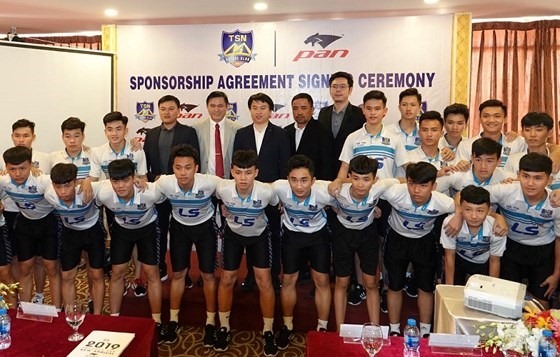 PAN Sport, a prestigious brand from Thailand, has signed a sponsorship agreement with Vietnamese futsal club Thái Sơn Nam. The deal will be valid for 2019 and 2020. According to a representative of PAN Sport, Thái Sơn Nam’s success in 2018 inspired to company to become a sponsor. Thái Sơn Nam completed a double of titles in the 2018 season after claiming the National Cup and the National Futsal Championship. They also finished runners-up at the 2018 AFC Futsal Club Championship in Indonesia in August after losing 2-4 to Mes Sungun Varzaghan of Iran in the final. Their performance was the best ever by a Vietnamese team and was painstakingly close to a win. Following this performance, Thái Sơn Nam was nominated as one of the 10 best clubs in the world by futsalplanet.com. PAN Sport has also supported many Thai futsal clubs over the last 20 years.